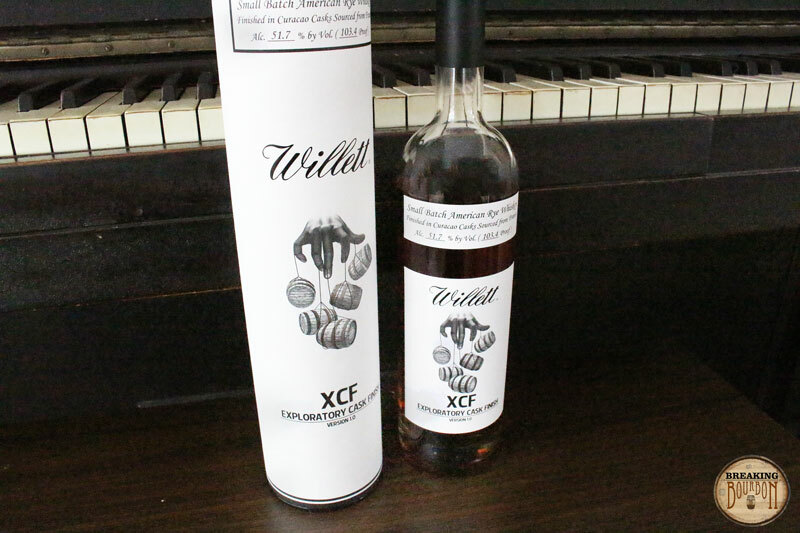 This is the first time that Willett has released an Exploratory Cask Finish which is commonly referred to as XCF 1.0. 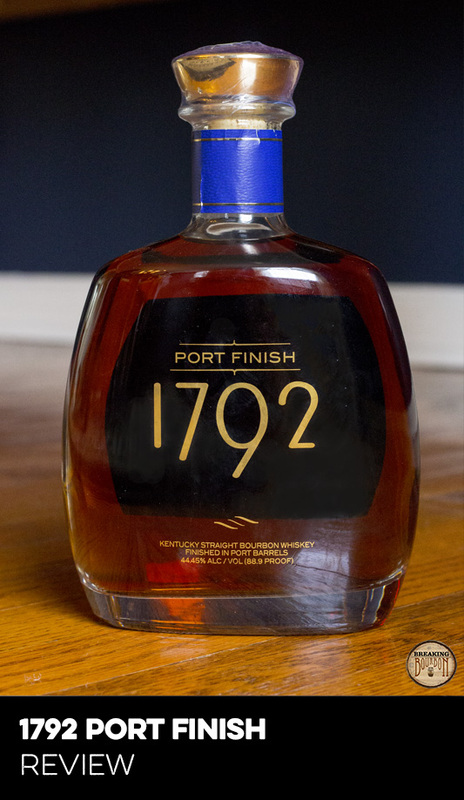 For the first release, a 7 year-old American Rye Whiskey was finished in Curacao Casks, which were sourced from France, for approximately 90 days. Curacao Casks are used to make Curacao which is a liqueur flavored with the dried peel of the laraha citrus fruit grown on the island of Curacao. Because these barrels were imported from France an unconfirmed rumor is that they were previously used in the production of Grand Marnier. The rye used was most likely sourced from MGP in Indiana and aged and finished at the Willett property in Bardstown, Kentucky. 6,912 Bottles were produced. The first scent to hit my nose is orange…and a lot of it! The orange is both a citrusy scent along with a distinctive orange rind aroma. Beneath that I smell light rye notes mixed with oak trying to break through. Those rye notes however, have a hard time pushing past the orange profile which really dominates the nose here. Not unpleasant, but not quite the profile I’m going after either when I want to drink a whiskey. Wow is this a funky palate! Orange is still very much upfront and present, along with distinctive notes of a thin sugar molasses, fresh wood, allspice, white pepper and rye. The palate is both distinctly sweet and ever so slightly spicy. It actually nails exactly what I would expect from aging a rye in a Curacao barrel. A well balanced mix of citrus and rye. The finish is light and airy to start. The sweet taste of orange is present, however, much less so than what was found in the nose and palate. Instead, you mainly find a more traditional finish that you would with a young rye, with earthy woody notes mingled with rye spice and light pepper. The finish lingers for awhile and continuously morphs from light and airy to an increasingly drier level as time went on. 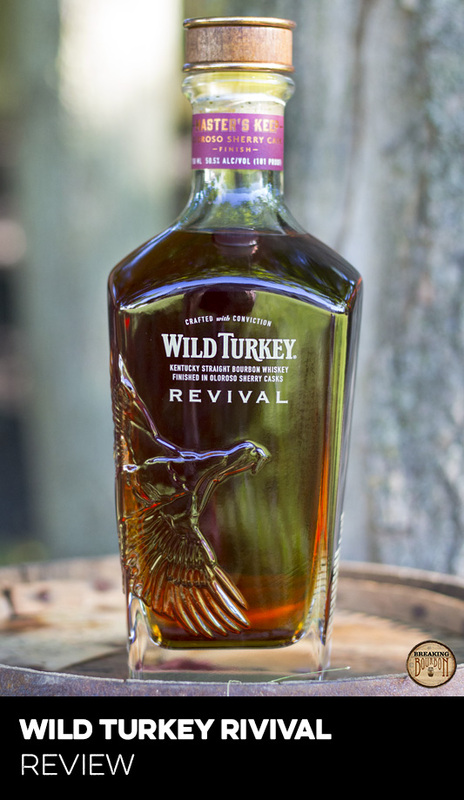 The initial sweet flavors morph to a leathery old wood taste that made it seem older than the seven years it spent in the barrel and not necessarily in a good way. You have to hand it to Willett on this one, as this has to be one of the more unique products on the market. While you see so many barrel finished whiskeys, many have been aged in wine barrels while so few have been successfully aged in other spirit barrels. Angel’s Envy Rye immediately pops into my mind as an exception due to it being aged in used rum barrels, however the flavor profile is so different and much too sweet to make it a fair comparison. Additionally, Willett took the time to import the barrels from France and chose a liquor that pairs decently with a rye. Whether you love it or you hate it, nothing on the market truly tastes like XCF. 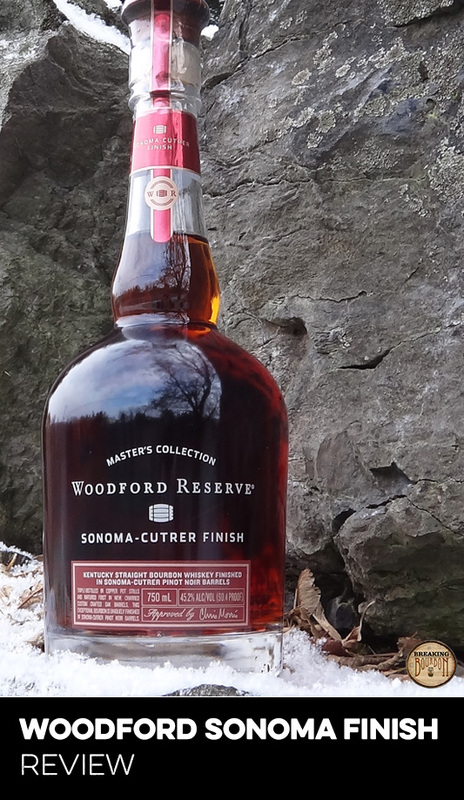 While barrel finished whiskeys are all the rage nowadays, at $140 this is one pricey bottle. While other barrel finished whiskeys are selling for around $100 or less (e.g. Angels Envy Rye, High West A Midwinter Night’s Dram), Willett has chosen a price that you’d normally see on the secondary market. I have a hard time justifying the price tag being charged for XCF. Yes it’s tasty and very unique, however, it’s being sold for about $40-50 more than it should be. Sure it costs money to import barrels from France, however greed seems to have gotten the better of Willet on this one. Hopefully we don’t see more distillers pricing their new products at perceived secondary pricing like Willett did, as it scares me to think what the future bourbon market may look like. A unique experiment with an interesting result, at an unfortunately unjustifiable price tag. 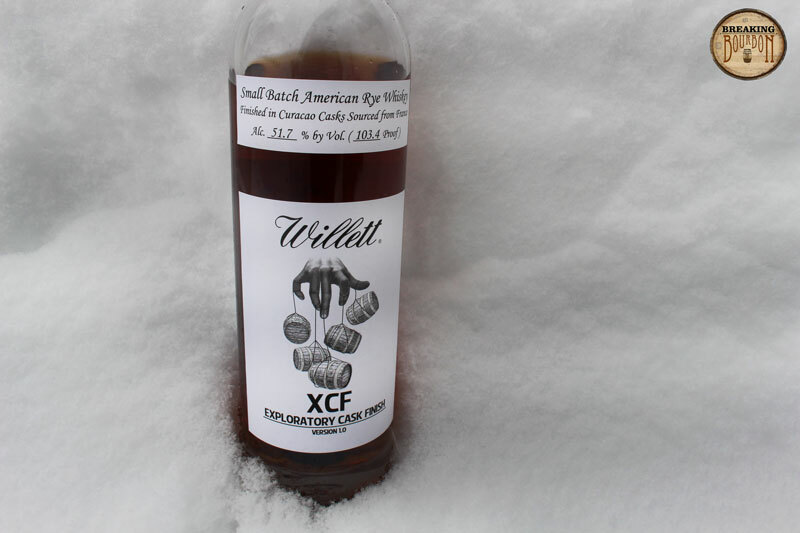 Not bad per say, however, XCF definitely tasted like a Frankenstein rye to me that you might try to make by mixing whiskey with some liquors to sweeten it up. That being said, it was so different that I actually dug it. Not enough to want to drink a glass every day or recommend buying a full bottle, but enough to recommend it as fun novelty for others to try once at a bar. 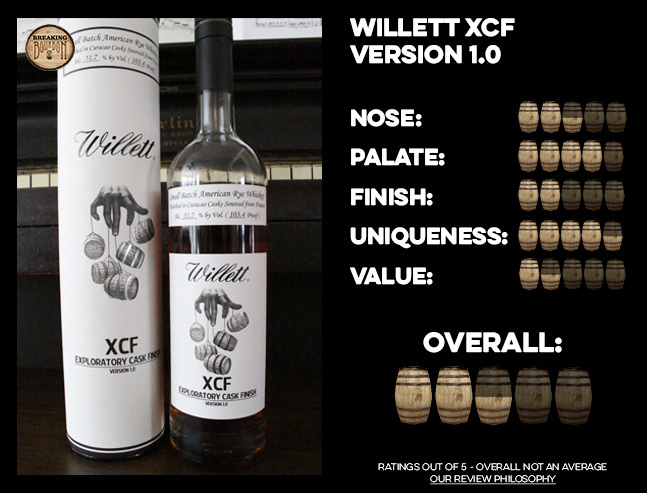 I feel like Willett tried to appeal to a broader audience with XCF by sweetening up a rye to make it more appealing to non-bourbon drinkers. 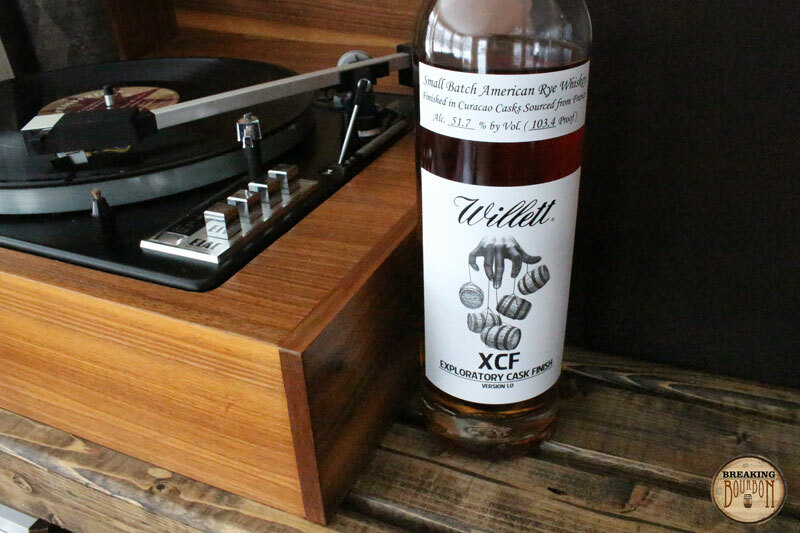 You see this as a trend in the marketplace with flavor enhanced whiskeys such as Wild Turkey Honey or the Evan Williams Cinnamon Reserve, however in this case Willett actually took the time to use a barrel finishing technique. The problem is that Willett makes you pay through the nose for letting them barrel finish this rye. So much so that I can’t imagine a casual drinker looking for a sweeter profile wanting to pay $140 to try this.